Several readers asked how my bespoke jeans, made by Levi’s in London, have aged in the four years I’ve had them. 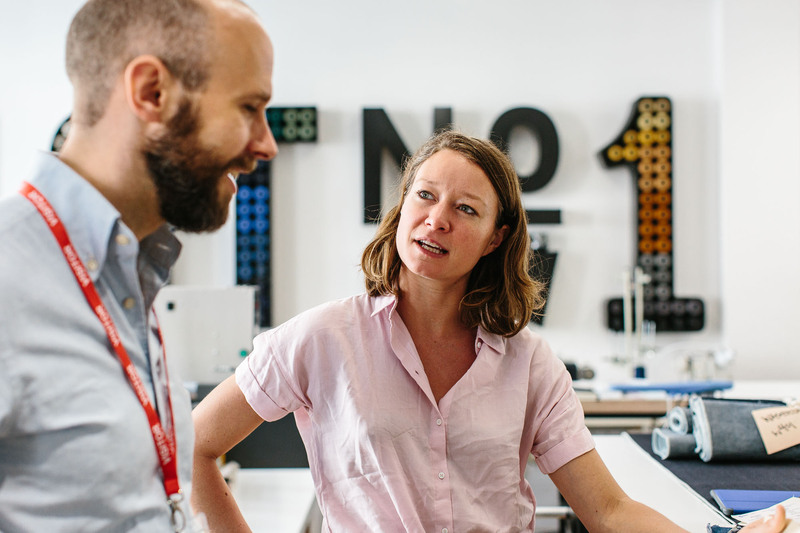 To answer, I decided to do a shoot at the new Levi’s bespoke workshop on Great Marlborough Street, showing in detail the ageing of the two pairs. 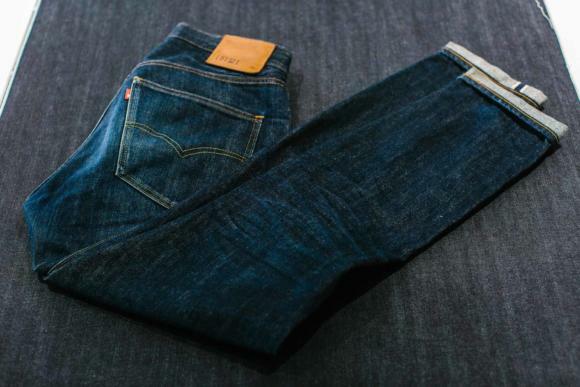 When Levi’s introduced its service - known as Lot No.1 - in 2014, I had a first pair made in Japanese Kaihara 14.25oz denim (above). These were high waisted and quite tapered in the leg. A few months later I added a second pair, this time in Cone Mills 13.5oz denim - below. I had found the leg of the first pair a little too slim, and widened them slightly (18cm at the bottom, rather than 17.5cm). These were a mid-rise. Over the past four years, as I've worn the denims in different temperatures, I've never really noticed much of a difference between the two weights. But their colours are certainly different. As with many Japanese denims, the Kaihara ones were a slightly deeper shade of indigo, and this has become much more noticeable as they have been washed and worn. 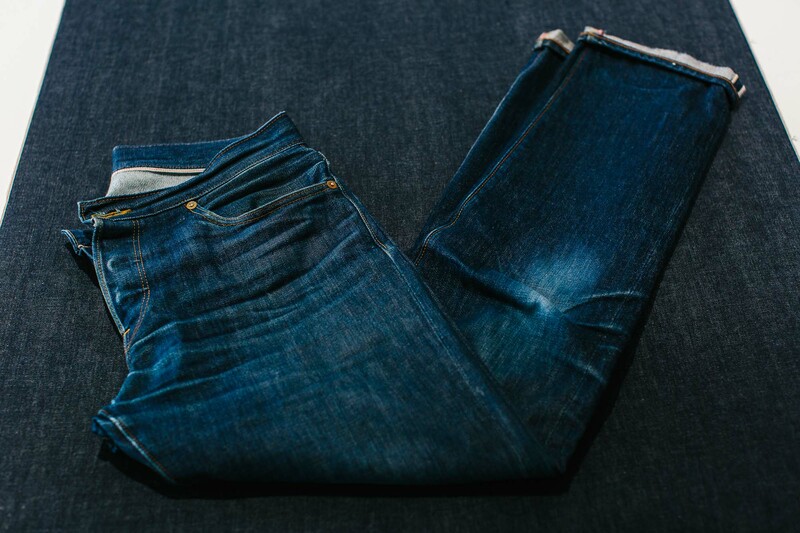 Above you can see the Japanese pair as they are today, laid on top of the original raw denim. The blue has certainly come through strongly on the back of the knees, the seat and the cuffs, but there are also parts that remain a deep indigo (as ever, click on the image to enlarge). A honeycomb pattern is clearly visible across the back of the knees, but it is not that pronounced. The US Cone Mills pair, on the other hand, is noticeably bluer and the fading has been more extreme. These have probably been worn more than the high-waisted pair, but nowhere near enough to account for the difference in fading. However, these too are laid on top of the denim they were made in, and you can see that there was very little difference in the original raw denim. 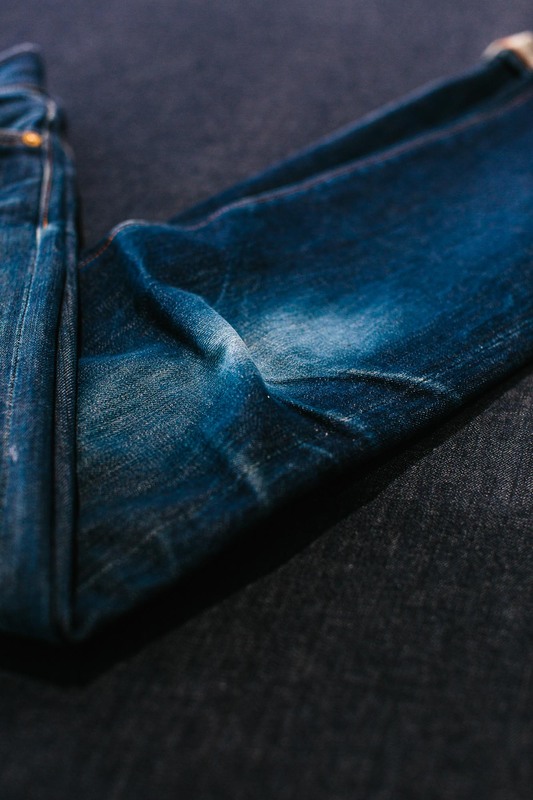 This is hopefully useful for anyone looking to commission jeans in either - so much of the appeal of denim is how it fades over time, and this gives a rough idea of what they will look like. 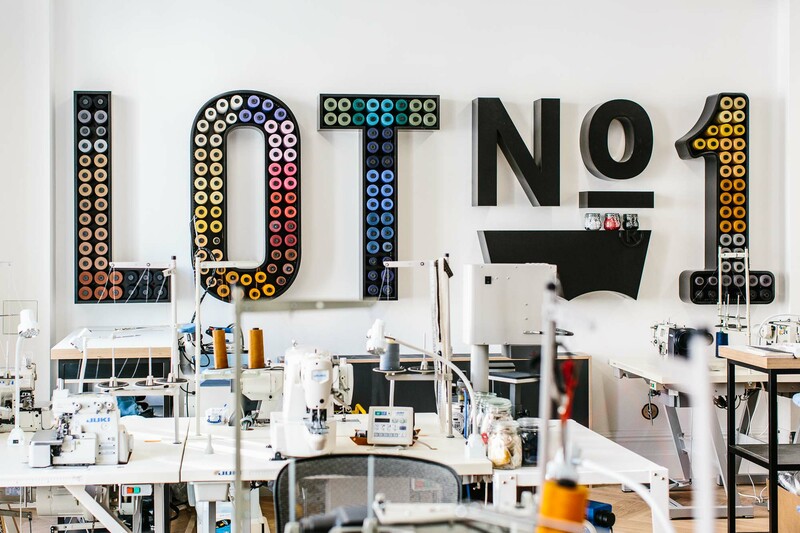 But I’d also say it’s worth heeding the advice of Lizzie (Radcliffe, above) and the rest of her team at Lot No.1. They’ve made a lot of these now (the 1000th pair was last weekend!) and they’ve seen how all the denims wear and fade. Those two flat-lay pictures weren’t really direct comparisons of course, as the Kaihara showed the backs of legs, and the Cone Mills the front. Below are some more direct ones. First, the top half, where you can see a lot of whiskering on both pairs, but far more on the Cone Mills. Perhaps most noticeable is the way the rivets have faded the fly on the Cone Mills pair. In terms of style, by the way, I’ve found that the Kaihara are slightly smarter by virtue of the their darker colour, and the higher rise means they leave less of a shirting gap when worn with a jacket. The bluer denim of the Cone Mills is more casual, but is also nicer with navy, such as a navy crewneck sweater, worn above. Below is another comparison, this time of the honeycombing on the back of the knees. I had the belt loops taken off my jeans, by the way, soon after having them made. I don’t need to wear a belt to keep them up of course - you rarely do with jeans, and particularly not with these. 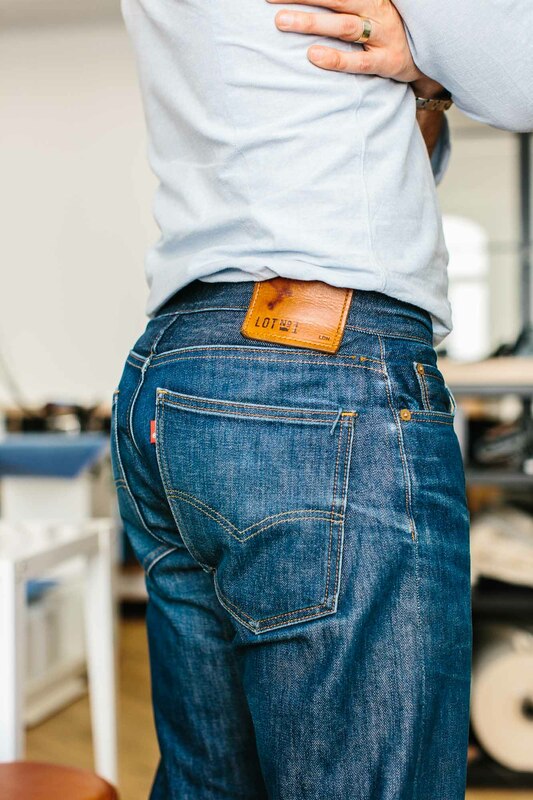 I also generally prefer the look of jeans without a belt, and rarely wear one. So it seemed silly to have the loops, and perhaps a subtle, idiosyncratic style point to go without. I’m sure some denim heads would say this ruins the style of the classic five-pocket jean, but I like it and have never regretted the choice. I’ve also found over the years that the high-rise cut fits me very well at the back, but is a little too high in the front. Readers will know that I generally need a slight slope from back to front to be comfortable with a high-rise design, and my next pair (a canvas-like flecked cream) will be cut that way. Lizzie didn’t have that much flexibility at the start of Lot No.1 to experiment with different designs or cuts, but that has slowly changed. A straight cut across the top was very much the Levi’s house style, but it is now possible to vary some of these small points. The range of materials available has also increased substantially over the years. There are organic cottons now, a range of weights of denim from 8oz to 22oz, and a natural-indigo dyed cotton is coming soon. Lizzie is fond of a ‘space weft’ denim that has a multicoloured back to the cloth, which comes through as the jeans fade. The Lot No.1 team (recently increased to four) is now based on the first floor of a new Levi’s building on Great Marlborough Street, just next to Liberty’s. It’s a really lovely space, with floor-to-ceiling windows and all the work being done on-site, next to the customer patterns and fitting rooms. The previous area in the basement of the Oxford Street store was nice, but always a bit of an add-on to the main shop. This is definitely a dedicated Lot No.1 area, as the sign on the wall proudly proclaims. 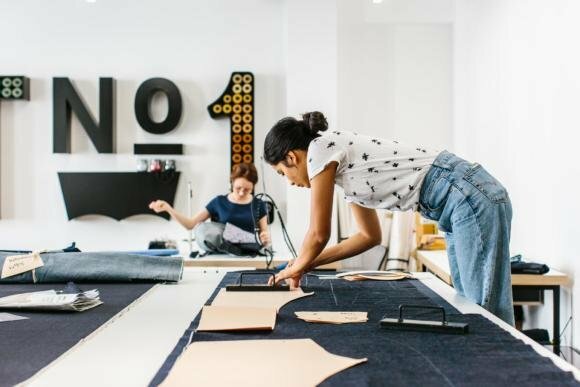 The bespoke service recently launched in the Champs Elysées Levi’s store in Paris, by the way, to add to London, New York (Meatpacking District) and San Francisco (Market Street). I can’t speak personally for the other locations, but based on how good my experience has been in London, I’d say they’re definitely worth checking out. 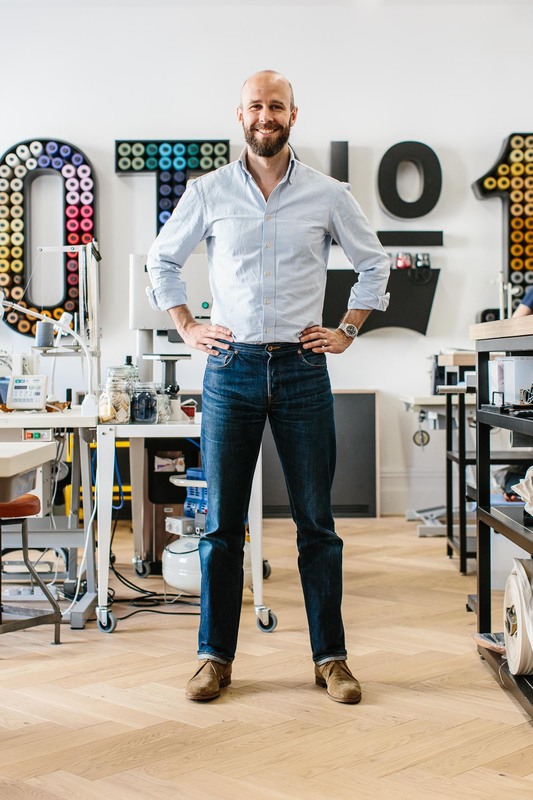 The wait time for finished jeans in London is now around 14 weeks (including one fitting) and the price is the same as four years ago - £500, with every subsequent pair in the same style £450. The only difference today is there are more expensive denims available, which increase the price. In the pictures I am wearing a bespoke shirt by Luca Avitabile in our PS Oxford fabric, which as I said in that post, I think is the perfect companion to denim. There are a couple of dozen lengths of that left (we made a lot!) on the shop site. The desert boots (above) are Shanklins from Edward Green. There are socks hiding in there, just below the top of the boots. 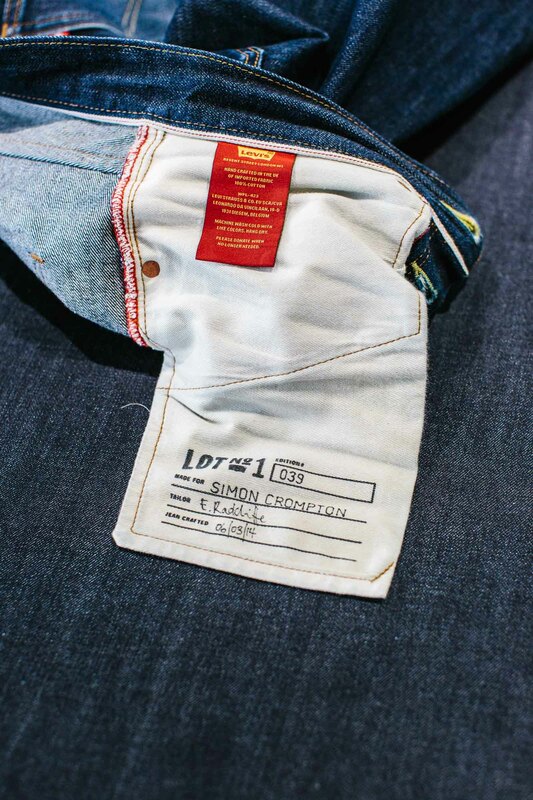 You can follow the discussion on How great things age: Levi’s bespoke jeans by entering your email address in the box below. You will then receive an email every time a new comment is added. These will also contain a link to a page where you can stop the alerts, and remove all of your related data from the site. 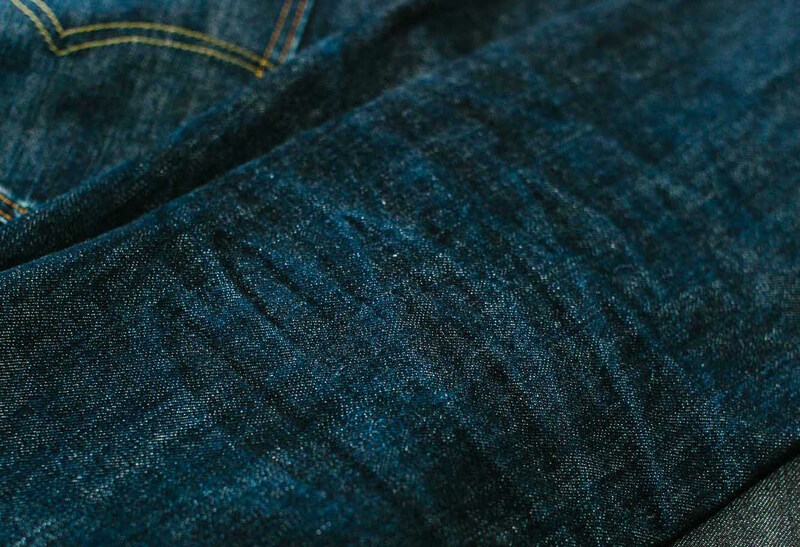 It’s such a joy to see indigo denim fade into something more personal than its raw state. I hope these pairs continue to give you much pleasure in the wearing, Simon! It’s intriguing to see you wearing a somewhat pale pair of footwear with (relatively) darker jeans. 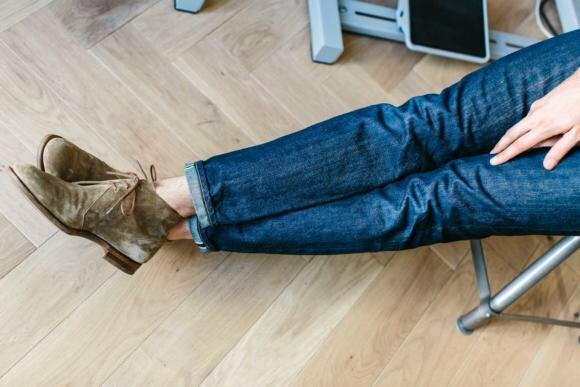 Has your preference for wearing shoes darker than trousers – a guideline which makes a lot of sense, by the way – undergone an evolution? No, but that rule really only applies consistently to tailoring and dress trousers, not to jeans. I’d happily wear white sneakers with these as well, for instance. Ah, good point. 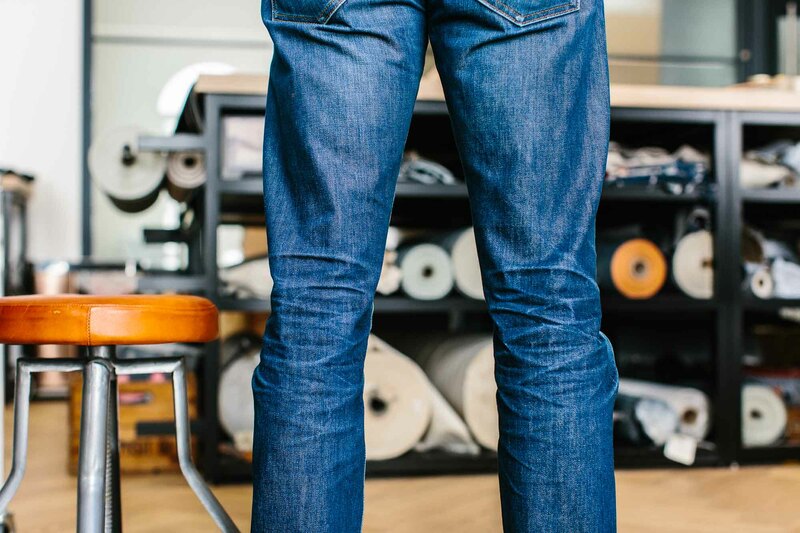 More than anything, that’s a testament to how versatile jeans can be when used right. The cream ones you have on the way are probably versatile in subtly different ways to indigo. Great choice, hope they turn out perfect! 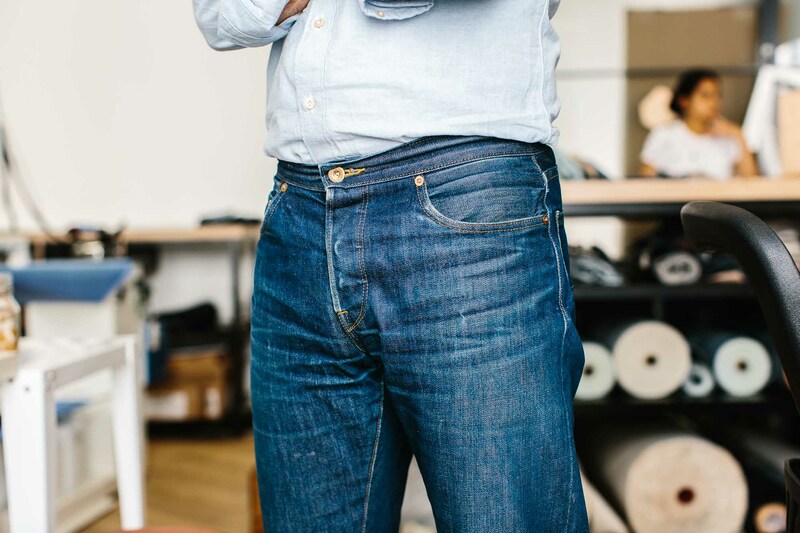 Simon….when you say you rarely need a belt to keep up jeans, I guess that assumes the jeans fit correctly on waist/seat, as clearly bespoke one’s will. 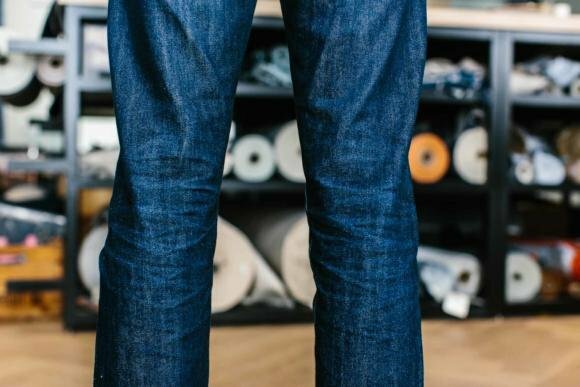 Of all ‘trouser’ materials I find jeans need the most help in this department as they rarely fit perfectly and stretch out more than other trouser material, hence a belt proves useful and clearly side adjusters don’t suit jeans. Sorry to spoil the party but these jeans fit you very poorly on the back of your thighs. To fit well , they probably will need a short back rise adjustment of an inch or so. This should have been done at a fitting, given they are bespoke. Doing it now will ruin the position of the patch pockets. At £500, that is a major oversight. Are the folks running this show really adept at bespoke? Thanks for your view. They are comfortable on the back of the thighs, but are certainly tighter than tailoring would be. 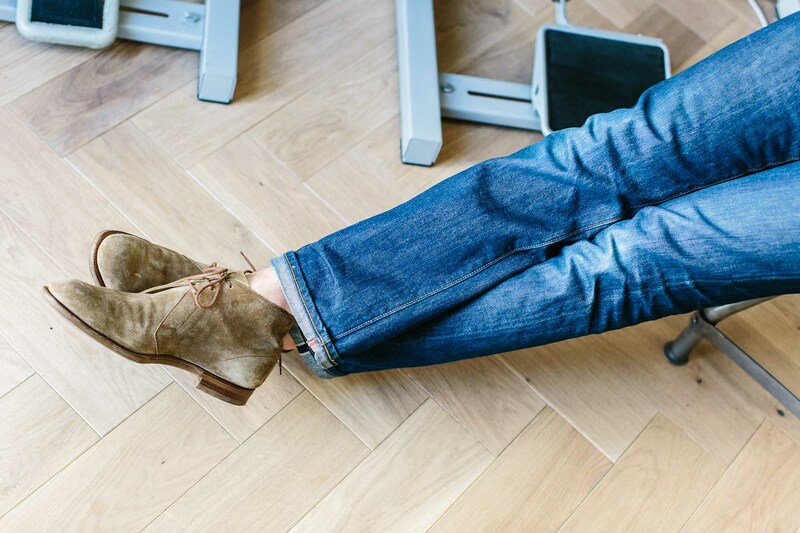 You would never have jeans fitted as loose through the thigh as with tailoring, as that is not the look – particularly as they have no drape to hang with. And no adjustments would ever be made except at the raw stage. The fading means that no seams can be moved. In terms of ability, Lizzie the cutter trained at Edward Sexton, and knows her denim. You couldn’t have a better person in charge. Thanks, but my point was that they are a fairly snug fit all round except the back of the thigh, where they look loose and puckered. This doesn’t look right at all, and would have been cleaned up by a short back rise adjustment at fitting. I agree! I wouldn’t want to spend £500 on jeans that don’t fit well! 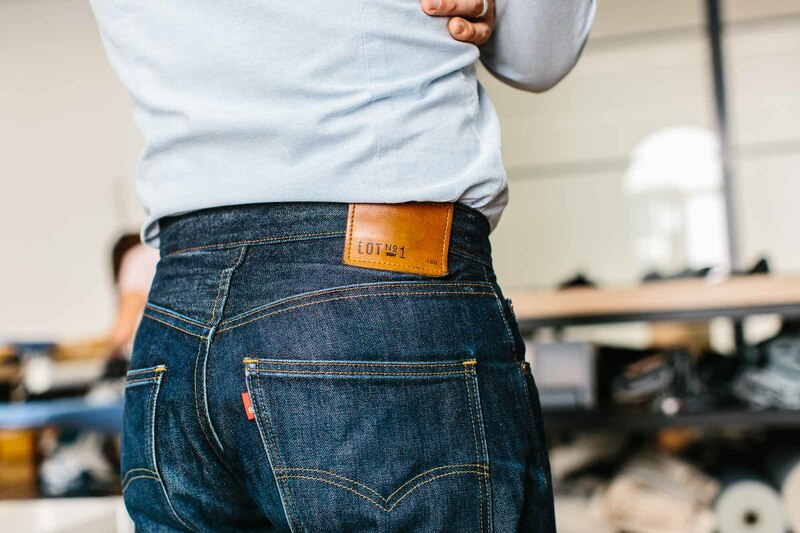 If the jeans were to have belt loops – what type of belt would you wear? Sadly the Cone Mills denim plant – the last selvedge denim mill in the United States – closed at the end of last year. Thanks Dave, I didn’t know that. A real shame. I’ve got the same denims; they’re brilliant jeans and they’ve replaced all others in my wardrobe. Only tip I’d add is that the Cone can shrink a fair bit in the wash. After my first wash I had to get the waistband changed because of shrinkage – so also good for people to know that significant shrinkage isn’t the end of the world. You can still get them altered. They are ageing wonderfully. I have met Lizzie a couple of times and it is something I definitely will be trying at some point on the future. You think £500 is expensive but when you take into account how many pairs I have had to buy and try and the amount I have spent on alterations it actually makes sense. I am still surprised by the number of commenters who don’t wear belts with jeans. To me it just doesn’t look right (loops or not) For me a belt is needed to balance and finish and outfit. Regardless if it is needed for tightening the waist or not. 5 or 6 washes in 4 years! Crikey. How do you stop them getting too funky? Does putting them in the freezer actually work? I’ve read a number of articles and comments saying that it doesn’t make any difference, which would seem to make sense. On a slight tangent (and without wanting to get too personal!) I would be interested to know how often people wash their knitwear. It often feels strange not to wash something that I have been wearing on and off in rotation for quite a long time – but if it’s not dirty it seems unnecessary. Are there any benefits (other than cleanliness) to washing knitwear more regularly? I’ve noticed it does help stop pilling to some extent. Yes, I’m sure putting it in the freezer makes some difference in removing smell, but it’s not a big one. I tend to wash mine once a season if I can. 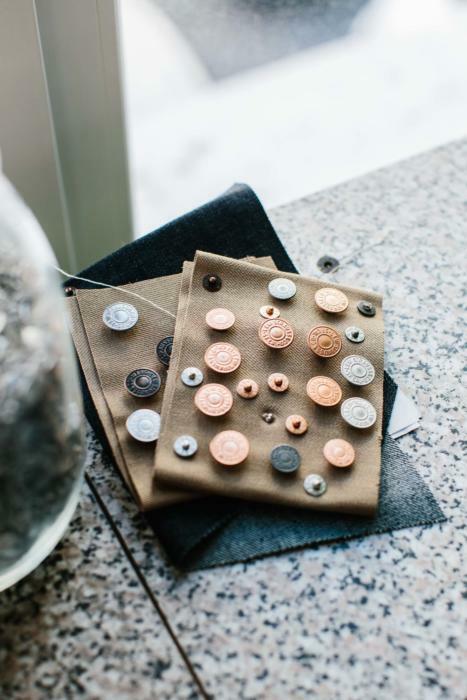 It does help with pilling, and on some cashmere it will soften it as well – depending on how the cashmere itself has been treated when the piece was made. Great update. 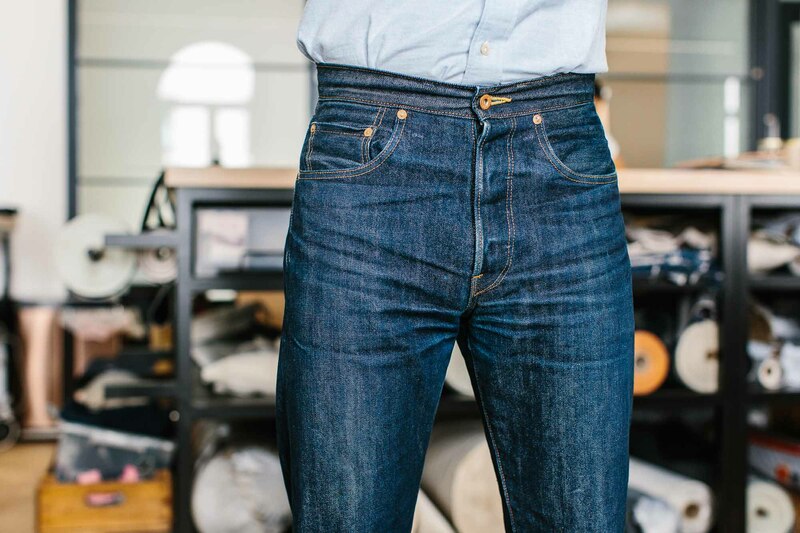 From an aesthetic point of view the jeans don’t look quite right without the belt loops – belt or no belt. Indeed at different times sans belt was the fashionable look. I think it tends to feminise them in some sense as the 5 pocket style doesn’t quite chime with the flat, no loop waistband. Personal view only – I appreciate that you prefer without loops. I’m just breaking in my third pair of Lot 1s. They’re all brilliant. Sure £500 seems like a lot, but I live in them, wear them everyday, and only take them off in the summer to wear shorts. Pound per wear they’re easily the best value for money I’ve ever spent on clothes, let alone bespoke clothes. It’s also worth mentioning that they do a fabulous repair service for when you inevitably wear through the knees or blow a hole in the crotch. I like jeans made of plain canvas (beige, red,…) rather than blue denim. I am desperate to find a brand (bespoke or rtw) with a rich and rather permanent choice of colored canvas jeans. Alternatively a weaver (Solbiati offers a few). Any idea? 500 Pounds for a pair jeans is a bit over the top when considering their history of mining workwear. It’s almost like commissioning bespoke coveralls. I’ve never had a pair of jeans that didn’t get huge holes in the inner thighs/crotch area within 1-2 years of usage 2-3 times per week. Makes me think twice before putting down so much money. It’s very tempting though..
Well, another guy here, who always wears jeans without a belt. I’d say you made a mistake removing the loops. From front vew they resemble a style jeans with elastic in the back made for infant. Historically, Levi’s jeans didn’t have belt loops until 1922, but did have suspenders buttons sewn into the waistband and a cinch strap and buckle in the back. Seems that with no loops or buttons they fall into a visually weird no nomansland. How many days of wear did you have before the first wash for each pair? I couldn’t say to be honest. It was a while ago. I guess one to two days a week maybe? Normally, I’m the defender of the realm when it comes to pricing but £500 for jeans is just crazy. How do these compare for cut, quality and service with Black Horse Lane Ateliers at half the price ? Of course but you’d have to be a very strange shape indeed not to find a fit in their range of styles and they will alter them for you there and then if you visit their Atelier. I’ll take the better quality at half the price. Any advice on the first wash Simon? I have a pair that I’ve been wearing for 7 months since purchase. Thanks Harry, I know Huit well. And I disagree on the fitting, obviously as again mentioned. I’m 85 years old; when I was a kid, most kids wore LEE jeans; in the 50’s and 60’s most young people wore Levis, but now, Levis are much too expensive and I and my friends wear Wranglers. Wranglers cost about half as much as Levis, which have become sort of a fashion statement. I feel that Wranglers are a much better deal if you wear them every day. Mark my words, the cone mills are going to start developing holes soon. Well, well before the Kaihara. Thanks. Is that from personal experience, or because of some technical aspect of the material you know? I’m impressed by how well these turned out. Very nice! I’m also with you when it comes to rarely wearing a belt with jeans. I’ve had bespoke jeans made and personally, I prefer to get one of several classic models of favorite brands that come in a “one wash” so that the fit doesn’t change after the initial washing. 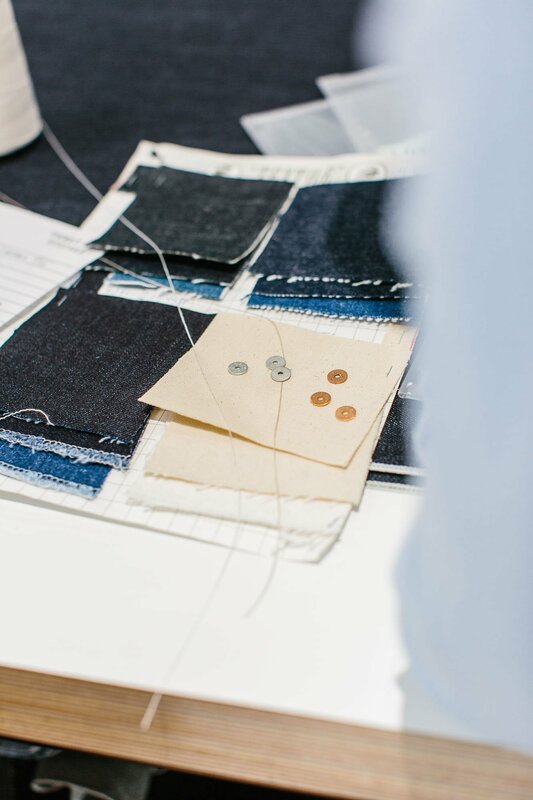 There are also tailors who specialize in denim so that I can get a pair adjusted if I want a slightly shorter chain stitch hem or more of a tapered fit. Would you say the “high rise” pair is closer to 11”+ rise and the lower rise around 10”? I know relative Rise depends on an individuals height but I thought you may have a ballpark. Thanks. Hi, how do I book an appointment? I have tried Google without luck. Could someone please point me in the right direction. The jeans look great. Is shrinking an issue? I don’t have any personal experience of Levi’s standard shrink-to-fit jeans, but most commentators on the internet suggest buying one to two sizes larger, so that after shrinking the jeans will be the right size. I assume – possibly mistakenly – that the raw denim used in your bespoke jeans is broadly similar to that used in the standard shrink-to-fit product, but I don’t recall you saying anything about shrinkage after washing. If that’s true, how do they manage that? Simon- I had a pair of these made by Lizzie ans they are indeed amazing. Makes me wonder why I found it so easy to justify bespoke suits but not jeans, the latter being worn much more frequently. Quick question- how much did you drop the front rise on your new pair, 1”? Less? Mine are also high rise and the back fit is great but the front does tend to rise a touch high. Thanks. A little less than an inch I think. 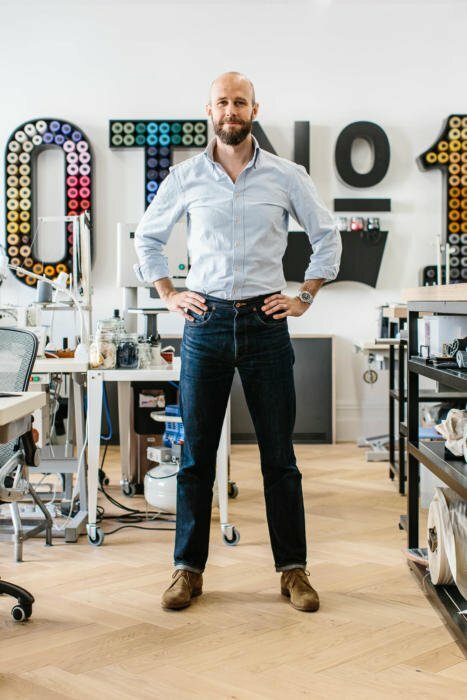 Simon, outside of blue jeans and light gray flannels, what do you think are good trouser colors to go with tan shoes like the desert boots in this post? Simon- I am having Liz make me a second pair of LOT 1 jeans, this time in that cream denim that I believe you also used. She has suggested the option of having the fabric washed/pre-shrunk at 60 degrees prior to making them up so that the jeans can be washed at a higher temperature in the future to maintain the light color (under that option Liz would slightly trim the white jean pattern to remove a ‘shrinkage allotment’ typically included in a dark jean pattern). A second option is just use raw fabric with my normal pattern but the jeans could not later be washed at higher temperature. I was curious which direction you took on your new cream-colored jeans. I was a little nervous the shrunk fabric/different pattern may not make up exactly like my existing pair, which are perfect (and to be honest I never wash jeans in hot water anyway but I see the rationale with the light colored fabric). Thanks as always, Simon!